Please join KLI’s Director of Quantitative Research, Dana Bishop and User Experience Researcher, Phil McGuinness who have been collaborating on Competitive Benchmarking studies for the past 5 years. In this webinar, they will reveal some of the best practices they have developed over the years. 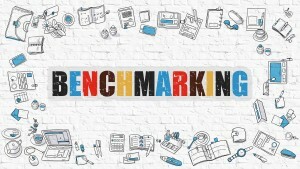 Topics will range from the importance of taking the proper time for building a strong foundation for your benchmarking study, the key questions you should be asking yourself before starting, as well as participant recruiting, pre-analysis planning, and collecting and analyzing data. What will attendees will gain for this webinar? – Why benchmark yourself? Why include your competitors when benchmarking? – How to set clear goals and objectives for your benchmarking study? – How do I get the right participants? How many do I need?